Summer is on the way and for many of us that means time to fire up the outdoor grill and barbecue some chicken or cook some hamburgers. 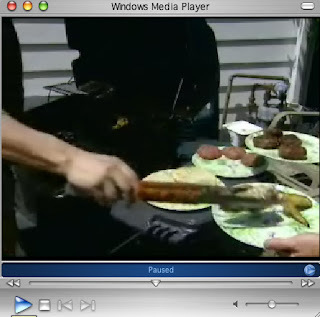 Here's a short video from the Department of Agriculture that points some common sense rules for cooking outdoors without getting into trouble. For example, on a 90 degree summer day, do you know the maximum time food can be left out before becoming potentially dangerous? Find out. Click here to watch the video (Windows Media Player required).